This is the story of the only aerial mining mission undertaken by the U.S. Navy since the A-6 mining of Haiphong Harbor in March 1972 off of the USS Coral Sea. 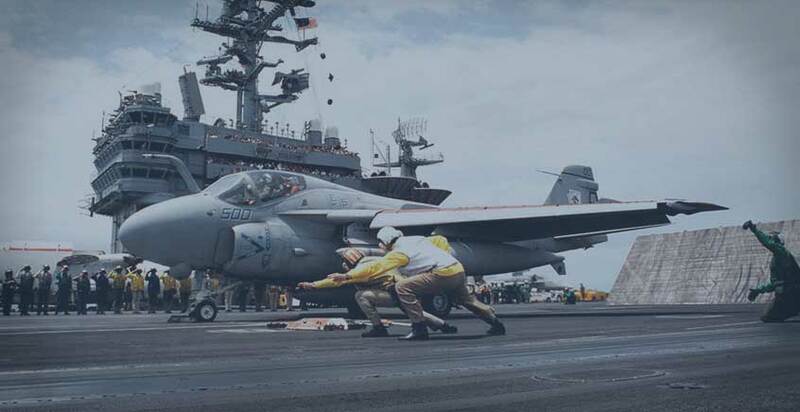 This last mining mission was conducted by four CVW-2 A-6Es flying from the USS Ranger (CV-61) on the evening of January 17, 1991; the mission occurred at the onset Operation Desert Storm (17 Jan - 28 Feb 1991). This mission was but one of many missions within a land, air and naval conflict waged by coalition forces from 34 nations led by the United States against Iraq in response to Iraq's invasion and annexation of Kuwait. The strike group consisted up of four A-6Es, six F-14s, two EA-6Bs, two S-3s, one E-2, one Air Force E-3, and many support aircraft. Each A-6E was armed with 12 DSTs mines; a DST was a 500 pound bomb with snakeye fins and an arming mechanism that would allow it to function as a mine in shallow water. While the preparations for land warfare were well advanced, only an initial cadre of support forces and attack aircraft from the Air Force and Navy were actually-in-place available for striking the enemy. At the beginning of the conflict, the U.S. Navy had stationed the USS Midway (CV-41) and USS Ranger (CV-61) within the Persian Gulf. Both carriers had initiated strikes against Iraq after midnight (2400) on the first morning of 17 January 1991. The mining mission took place on the evening of 17 January 1991. The USS Midway air wing was configured for strike with FA-18 C/D and 14 A-6Es. The USS Ranger air wing was configured with all Grumman aircraft, two A-6E squadrons with a total of 22 strike aircraft. For deconfliction, strikes originating from the Persian Gulf were divided into day/night by ships, with the USS Ranger assigned mostly night missions throughout Operation Desert Storm. The A-6E was well configured for night missions with 180 degree FLIR / TRAM capability. RADM Daniel P. March, as Commander, Carrier Group Five embarked in Midway, was the senior officer in command of naval forces in the Persian Gulf. The USS Ranger was blessed to have RADM Ronald J. Zlatoper on board as COMCARGRU7. His Intruder A-6 background was a blessing as he understood the capability of the A-6E night attack. With CAPT Ernest E. Christensen as the C.O. of the ship, they made sure the ship was always in the right position for the air wing to achieve optimal effectiveness. CAPT "Rabbit" Campbell was CAG and CDR "Blackjack" Samar was Deputy CAG. The A-6E squadrons were led by CDR Denby Starling as skipper of VA-145 and CDR Frank Swiegart as skipper of VA-155. The leadership of the ship and air-wing could not have been better for the A-6 community and the U.S. Navy. I was assigned to VA-155 as a senior Silver Fox bombardier/navigator and mission commander. The first night strikes launched in the early hours of the conflict were stressful, with lights-out formations flown in the dark with only the blue strip lights and the silhouette of the aircraft off which to fly formation. The challenge of flying formation under these conditions was only exacerbated by visual distraction of bombs exploding in the distance. SAM missiles were flying and AAA was heavy and visible, adding to the aircrews' stress. We noted that the SAM missiles appeared to be mostly unguided. At one point, heavy white flames and missiles were detected below us, spiking additional concern, but realization they were Tomahawk launches from our ships soon settled everyone down. CAG had us broken into six major strike groups. Strike groups were led by senior officers within the air wing, with two from each A-6 squadron and one from each VF squadron. The VF skipper in charge of my strike group did not feel comfortable leading weapons delivery strikes. I was the senior LCDR in the Air Wing so he assigned me the Mission Commander and Strike Lead for all his strikes. As the Mission Commander and Strike Lead, I had the best junior pilot in the air wing (Lt Marc "Hitch" Hitchcock). "Hitch" and I had been working together for several months. In training, I had our A-6E strike group working on push-over dives and flying at night with lights out down to 1,000 feet, executing 4-g turns maintaining altitude off of radar altimeter to simulate low level flying over the beach. Never did I actually believe that we fly that profile in combat. However, during this strike we found ourselves in this specific situation. "Hitch" and I believe the pre-conflict training was a blessing for the mining mission. With a couple of hours sleep after that first night strike, "Hitch" and I woke up to unfortunate news. Upon entering the ship's Intel space, I found our strike group was assigned to fly a "mining mission" to Umm Qsar. My immediate thought was "oh no!" We had just been to Umm Qsar with the first strikes in the early morning after midnight. Missiles and AAA were plentiful. It seemed we surprised the Iraqi enemy in the early morning hours, but they would be waiting for us at 1900. The intent was to stop any Iraqi ships from coming down into the gulf, but it seemed high risk. As Strike Lead, I went to CAG Campbell and appealed the decision. His response was "Admiral March had turned down the mission for the CVW-5 on board the USS Midway and passed it to CVW-2." It was a "go" no matter the risk. Ouch!!! It had to be done???? Lt John Bell was our mining officer and was well briefed on this mission. I asked John for alternatives? As I asked, the gunner came in and passed not enough time to work up "cans," slang for dedicated mines and that destructors (DSTs) were the only option. Lt. Bell, Hitch and I looked at the depth down the Euphrates away from Umm Qsar. About 6 miles to the mouth of the Euphrates there was a slight turn where water depth was only 30 feet, suitable for DSTs. Lt Bell ran the computations to determine probabilities of a ship transiting the area triggering a mine; in this location, they ran around 70-90%. That location became the focal point of the strike plan, which was four A6Es each armed with 12 DSTs with 30-day destruct delay. First tour aviators Lt "TC" Costen and Lt "Tuna" Turner looked me in the eye and pleaded to go. We had been leaning to senior officers only the first 24-48 hours on strikes so I quickly hurried and found our skipper (CDR Sweigart) and queried him about assigning "TC" and "Tuna" to the strike. He considered and said ok, but he would be turning as a spare aircraft on the launch with Lt "Stilts" Stillwagon as his pilot. VA-145 & VA-155 each had 2 birds with 1 turning spare assigned to the strike. Since this was a high-risk strike, CAG Campbell decided to fly. Skippers CDR Starling and CDR Sweigart were also manned and ready to fly. With two EA-6B aircraft armed with Harm missiles and jammers, two S-3Bs armed with Sampson Drone launchers, six F-14 fighters and one E-2C controller we soon had a full strike group ready to go. A few hours later, as the ship turned into the wind, two of the VA-145 aircraft called in down. VA-155 launched with "Hitch" and I in the lead, "TC" and "Tuna" as the second A-6E and "Stilts" and Skipper Sweigart; JR Haley and Bud Abbot from VA-145 launched flying the 3rd position among the strikers. LCDRs "Tugg" Thompson and Rick Price from VA-145 launched flying the HARM aircraft. We launched just after sunset and proceeded individually at assigned altitudes up the Gulf to the Turning Control Point (TCP). At the TCP the strikers descended to the deck in 30 second intervals. With the nighttime, there was a heavy low level cloud layer and very heavy fog up to 1,000 feet. As the lead striker, "Hitch" and I could see the Al Faw guns firing as we descended. It was solid fog at lower levels so we could not see much. Acquisition and tracking radars were active. As we entered the mouth of the river at 500 feet, the AAA started to lower their aim. We descended lower and proceeded up the river. The AAA was solid, so to avoid the AAA that seemed to bottom out at 300 feet in the middle of the channel, we flew lower than the tracers. Multiple ZSU-23-4s had been moved down the river and were keying in on the planes with their main caliber guns, which appeared as "golden bb's" as well as with smaller AAA, which appeared as "red bb's." Ships were in the middle of the channel were shooting straight up. I was busy on the radar directing "Hitch" around the ships. At one point I saw 100 feet on the Radar Altimeter. The little bb's were going all around the airplane but mostly above us as you could see that we were below the AAA depression capability. As we turned to the target at 7 miles we had to climb to 500 feet for to satisfy both weapons release and fuse activation criteria. Wow, it was uncomfortable climbing into the AAA barrage! 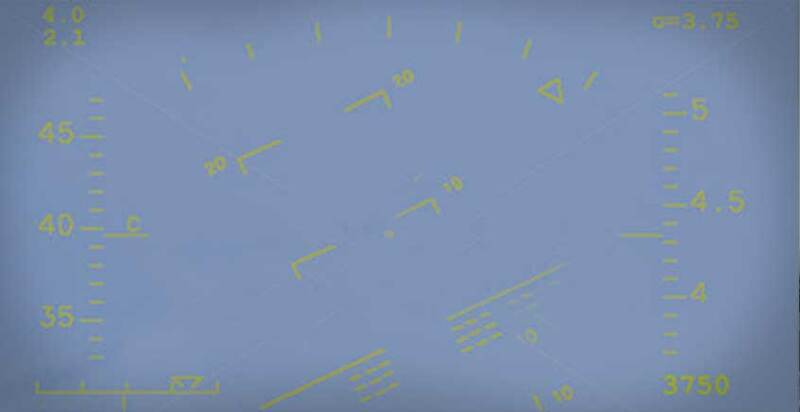 I saw the DSTs deploy in the FLIR, but it seemed like eternity for 12 weapons to drop over a couple of seconds in a 1,200-foot-long football field shape mine field. At 500 feet, 480 knots it was a minute of "pure hell." Lt "TC" Costen and LTJG "Tuna" Turner were 30 seconds behind Hitch and I in "Jakal 404." As "Hitch" and I turned off target to egress, we saw a large yellow / orange flash in the fog in the target area. We thought an un-guided missile impacted the ground. "Tugg" and "Stilts" successfully completed their runs and egressed due South. We headed out to sea on the ingress route. I called for a "99 Ironworks Check-In," a "Feet Wet" roll call. Everyone but "Jakal 404" called-in. I called "404 Check In." Again I called. "Tugg" then came up and said, "I saw a bright flash long and left the target." Silence. I made another "Jakal 404 check in" call, again with no response. Realization sank-in. CAG Campbell came up on the radio and passed we had better start a "SAR effort." At that point, I called "Sun King" (E-2) and requested "a SAR effort for Jakal 404" and requested they alert Ranger's Strike controller. "Sun King" had already initiated the call. Nearly six weeks later as "Hitch" and I returned from the last strike on the 28 February, the sun was rising in the morning. Then the "Wolfpack" call (cease hostilities) rang out on the radios. We looked down from the mid-level Angels and could see the Umm Qsar port, the Euphrates River and the minefield area. There were 3 ships sunk / beached in the shallow water in the river in the target area. Perhaps we had been successful. The A-6E delivered on time, on target, but at a high cost. In the days after 28 February, a memorial service on the deck was conducted for "TC" and "Tuna." Over 20 U.S. and Coalition ships were in the proximity flying their flags at "Half Mast." Then, amazingly a short time later the helicopters started arriving with donations to a scholarship for "Tuna's" new born son. $20,000.00 was collected from U.S. and International ships in small change. The Ranger Crew & Air Wing had initiated the effort. "January 18 - An A-6E Intruder is shot down by anti-aircraft artillery two miles from the Iraqi shore after dropping mines on a waterway linking the Iraqi naval base of Umm Qasr with the Persian Gulf. The pilot (Lieutenant William Thomas Costen) and navigator/bombardier (Lieutenant Charlie Turner) are killed. Their bodies were recovered."